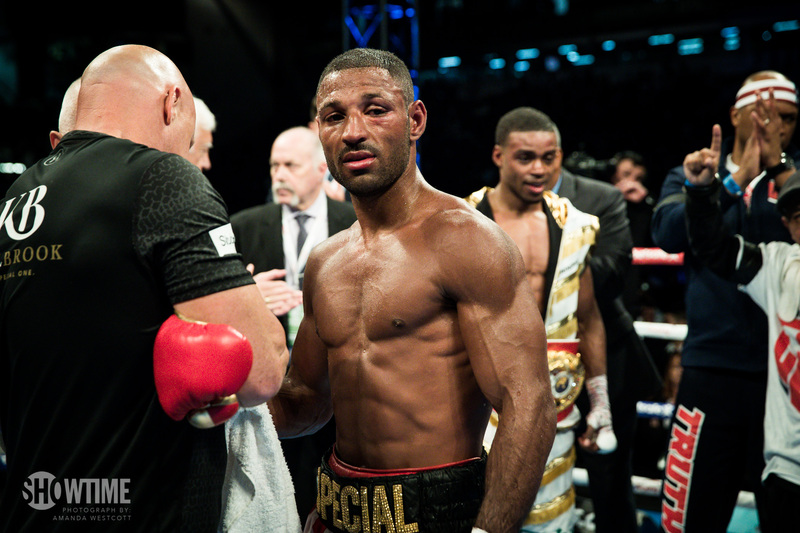 Kell Brook returns to the ring on March 3 against Siarhei Rabchenka in the Sheffield Arena. This will be Kell’s first foray in to the super-welterweight (or light-middleweight, if you prefer) division and hopefully the end of a long and strenuous period of boiling down in weight for ‘Special K’. The next two or three fights will provide the litmus test as to whether Brook’s heart is still in the hurt game or not. I suspect it’s not but, similar to Nathan Cleverly, there’s probably been a little nudge from his promotional entities that quitting would be a bad idea when there are still a few pay days left to hunt down and a bit more mileage left on the clock. I’ve no proof of this, it’s just a suggestion, but Brook doesn’t strike me as someone who’s particular in love with his trade these days. Promoter Eddie Hearn will no doubt be pushing for a Brook-Khan Pay-Per-View showdown, especially now that Amir Khan has signed on the dotted line and joined up with Matchroom on a three-fight deal starting on April 21. No doubt Khan will box three times and then the carrot at the end of the stick will be a Brook mega-fight but will both Khan and Brook be able to remain undefeated in the meantime? Brook has had a rough time of it lately, moving up to middleweight to try and shock the beast that is Gennady Golovkin before dropping back down to defend his IBF welterweight crown against Errol Spence and losing it after more punishment in the ring. Is he able to muster the resolve for another shot at world glory? Can his damaged eye sockets hold up if a future opponent pushes him back into deep waters? If Brook’s comeback train is to be derailed then Siarhei Rabchenka certainly is not the man to do it. I was in New York when Rabchenka fought Tony Harrison on the Frampton-Santa Cruz I undercard and Rabchenka struggled greatly with Harrison’s speed and accuracy and the Belarussian was unable to get his punches off in any great number. Trainer Ricky Hatton implored his man to throw more and offer more activity but the 31-year-old former EBU champion was too passive and ultimately found himself stopped in the ninth. Rabchenka’s best work has come around the European scene where he enjoyed wins over Ryan Rhodes and Cedric Vitu, both in England, and subsequent performances have proven that he is not world class. Rabchenka knocked an ageing Rhodes out in 2012 but Rhodes was not overly impressed by his former conqueror. “He was pretty heavy-handed but not a massive puncher. He had hit me with some decent shots but he hadn’t wobbled me,” Rhodes later told The Star. Rabchenka built on that Rhodes win and moved up the ladder in the WBA rankings. A split decision loss in Australia to veteran campaigner Anthony Mundine did not harm his march towards a crack at world level, but that was undone when Harrison beat him in Brooklyn and he has been chasing scraps ever since. Brook should find this a relatively straightforward assignment in his first venture at the 154-pound weight class and if the Sheffield man is sharp and on point then his snappy jab and classier combinations should get rid of Rabchenka somewhere around the midpoint of the fight. If Kell were to lose the fight, by any conclusive manner, then his career would be in tatters.